Some of my favorite things about the Fall are the spices that flavor the season. Rich and deep, they warm me from the inside out. Using these spices in these Chai Spice Cakes – or any baked treat – says October has arrived! 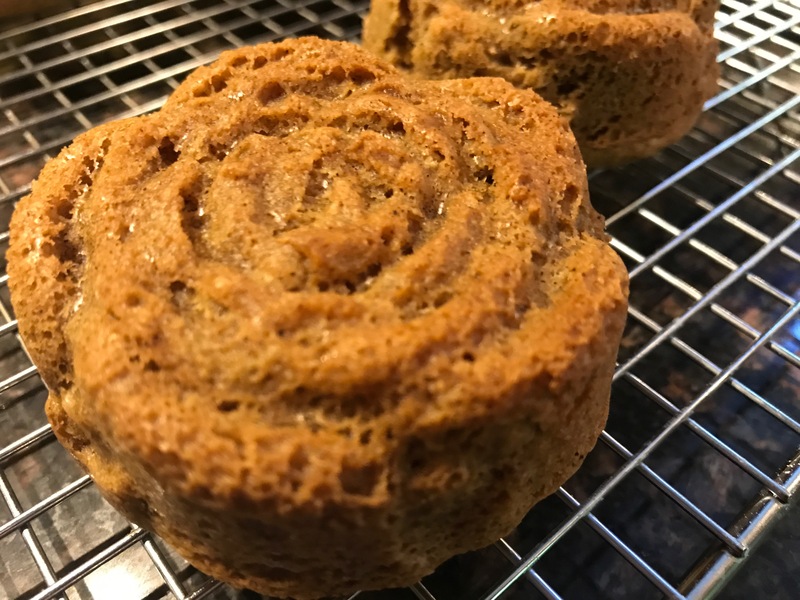 These scrumptious Chai Spice Cakes pair great with your favorite hot coffee or tea, especially on a cool fall morning or night. Enjoy! But you can also find allspice, nutmeg, star anise, fennel/anise and other spices in a chai spice blend. 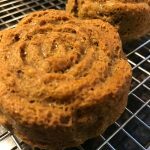 The Chai spice blend I use in this recipe contains ginger, cardamom, allspice, cinnamon, black pepper, clove, and anise. You can make your own chai spice blend – there are many blends online – based on your personal taste. You can buy pre-made chai spice blends, like King Arthur’s Chai Spice, or you can just use 3 teaspoons of a combination of these warming spices that appeals to you. This is what pale and thickened eggs beaten with sugar look like. Brings eggs to room temperature before beating. This allows the eggs to disperse more evenly into the batter, creating even cooking and a lighter texture. You can set your eggs out 1-2 hours before baking. Or a quick trick is to submerge them in a bowl of warm water for 15-20 minutes. Whip the eggs with the sugar as instructed in the recipe. 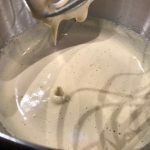 Use a stand mixer or a hand-held mixer with a whisk attachment and whisk the eggs and sugar on medium high for 2-3 minutes. Your eggs will become pale in color and fluffy. This is a critical step in creating air in our gluten-free cake for a fluffy, soft texture. This is a classic french technique that we can steal to make our not-so-classic french dessert taste amazing. Once eggs are whipped add all other ingredients on lowest speed. Now that you have created air, you don’t want to beat it out your cake. Lowest speed is critical for the rest of the ride! 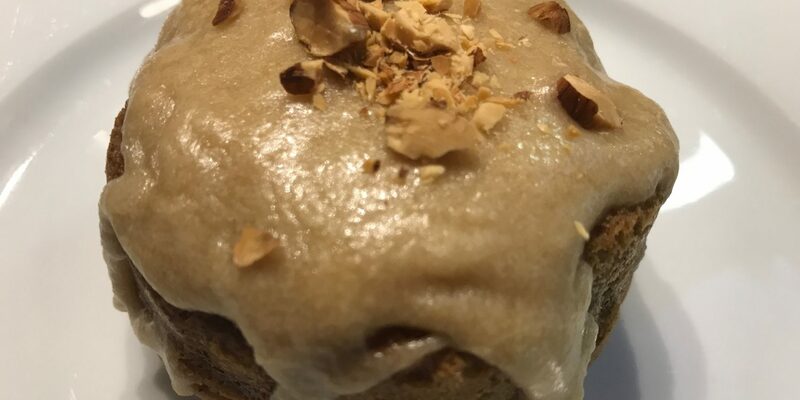 We can get a great texture in a paleo or gluten-free cake just by beating our ingredients a certain way! Do not overbeat to incorporate flours and yogurt. Keep the speed on the lowest setting. It’s better to stop beating and finish folding by hand to incorporate the last of the batter. Work steadily. Don’t let your batter sit. Have your oven preheated. Once your batter is mixed it needs to go right into your sprayed pans/molds and into the oven. If it sits, all that wonderful air you worked so hard to beat into it can deflate out. I prefer silicone cake molds because they are so easy to work with. They don’t stick, I can easily spray them, and I find such a selection of styles and sizes, it’s easy to make each recipe work for any occasion. For this recipe I used 2 3/4″ rose molds and got about 8 cakes. You can use non-silicone molds, but you really have to grease them. Even still I find the cakes stick and struggle to release. All that work just to have my beautiful rose cakes broken and busted because of the pan? I don’t think so. Plus, these cakes work as a smaller size. I love my Silikomart mini Kugelhopf sized cakes. 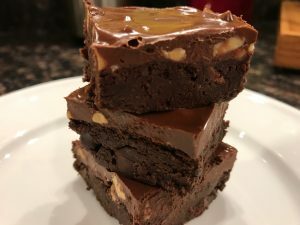 These are perfect for parties, or when you have guests, or to keep in the freezer so you can take them out and have on hand when you need them. On the flip side, you can double this recipe, and make a full size bundt cake. 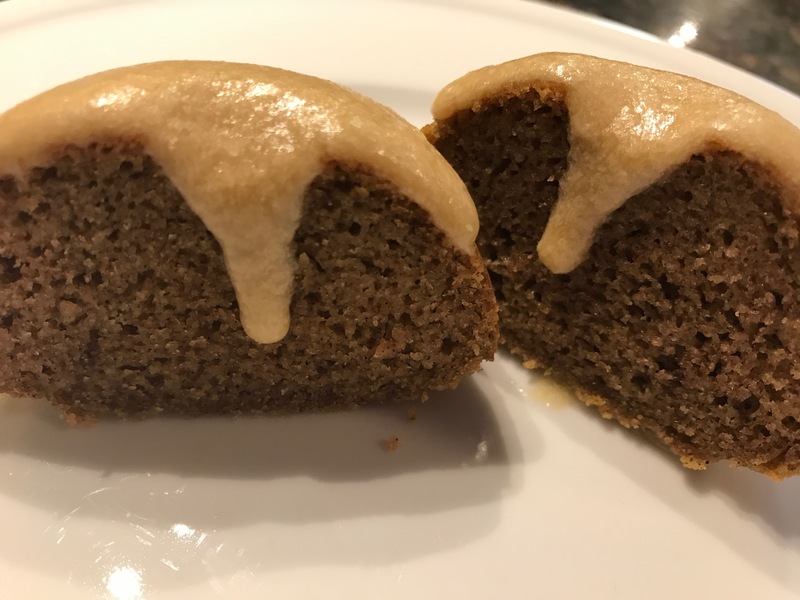 You have lots of inexpensive options for silicone bundt pans. I topped this cake with a Maple Glaze because my dad loves a glaze on a cake. Personally, I prefer this cake without it. I love the flavor of the chai spice cake. For me, the glaze adds more sweetness, which I don’t need. 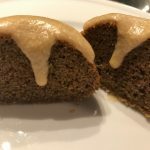 If you tend to like a glaze or a little extra sweetness, the maple flavor pairs great with the chai spice cake. If you’re like me, and less is more when it comes to sweet stuff, perhaps just enjoy them on their own. Either way, I think it’s a winner. I hope you do, too! Author: Angela Marinelli, M.S. M.Ed. *If you don't have a chai spice blend you can use 3 teaspoons of a combination of cinnamon ginger, cardamom, allspice, black pepper, and cloves. See explanation in blog post above. Melt coconut oil on lowest heat. Remove from heat. 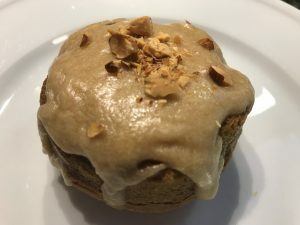 In a medium mixing bowl combine almond flour, tapioca flour, sea salt, baking soda, baking powder, and chai spice blend, and whisk together until well mixed. 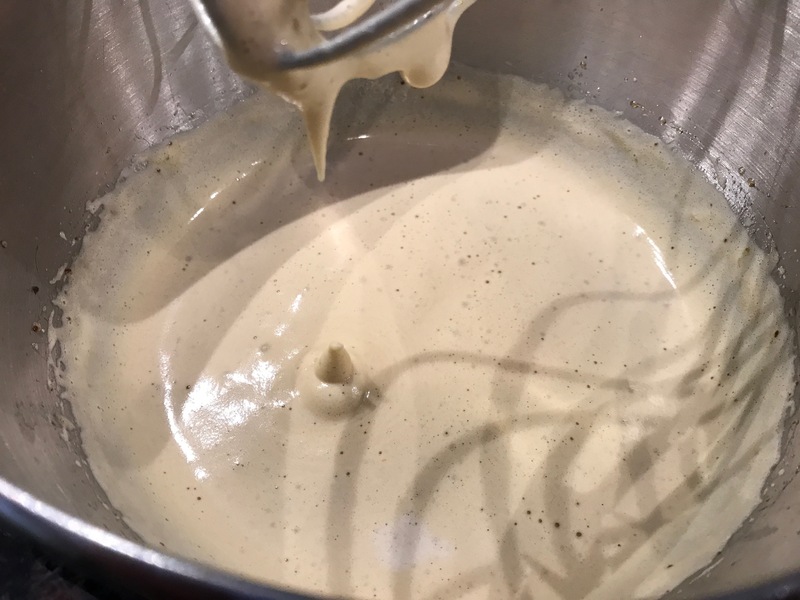 In another bowl with a mixer and a whisk attachment, beat the eggs, palm sugar and maple syrup until pale and creamy, about 2-3 minutes. On low speed, add the melted coconut oil (it should not be hot) in a slow steady stream while blending and beat until everything is well mixed. Add vanilla. On lowest speed, add the dry ingredients and then the yogurt until just until incorporated. Don't overbeat. Stop and scrape down the sides with a spatula and finish mixing gently. Spray silicone cake molds and pour batter evenly into prepared molds. Unmold and cool on a baking rack to bring the temp down as fast as possible. If you are adding a glaze let cakes completely cool before topping them with glaze. Cakes are best fresh but you can store cakes in an airtight container for 4-5 days. Or freeze for up to 2 months. Check out my homemade Maple Powdered Sugar recipe for this recipe! Place all ingredients in a food processor, process until smooth. You can adjust milk based on desired consistency. I start with 1 TBS, add small amounts at a time if you want it thinner. You can add more coconut oil if you add too much milk. Use the glaze right away. it will solidify after an hour or so. If this happens, heat for about 30 seconds to soften before drizzling or piping. Extra glaze will keep in the fridge in a covered container for up to two weeks.